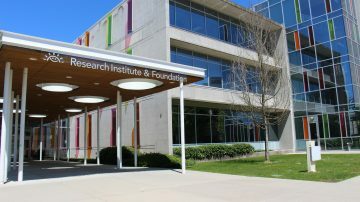 Research activities take place in the BC Women’s Hospital, the main obstetrics and gynaecology hospital in BC, and in one or both of the on-campus research institutes: the BC Children’s Hospital Research Institute, and the Women’s Health Research Institute. In addition, research may be carried out on the UBC Point Grey campus, at Vancouver General Hospital, St. Paul’s Hospital or the BC Cancer Agency. All sites possess modern, well-equipped laboratories for basic science research. There are also facilities for conducting research on human subjects, and for clinical and epidemiological research. Students whose research involves human reproductive biology may have the opportunity to work with clinical members of the Department of Obstetrics & Gynaecology. There are also opportunities to collaborate with the BC Support Unit for students whose projects involve patient engagement. The RDS program is the only graduate program in Canada that is based in a Department of Obstetrics and Gynecology. Students have the opportunity to interact with both basic science and clinical research faculty, which can lead to the formulation of research projects that address important clinical issues in women (e.g. ovarian cancer, preeclampsia). Moreover, the proximity of teaching hospitals in Vancouver facilitates the collection of human samples (e.g. placentall, ovarian, sperm and testes tissues) that can be used in thesis research projects.